A must have for any cheese board, it also creates a standout soup or supreme potato gratin. 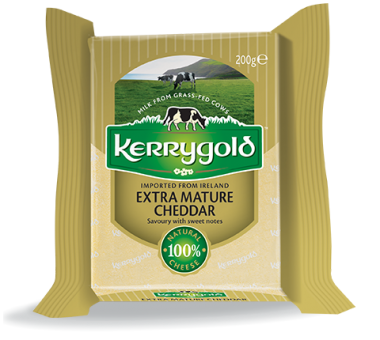 Kerrygold Extra Mature Cheddar is nurtured with care and continuously graded to prove its perfection. Savoury and sweet notes rouse the senses. Enjoy with a glass of fine wine and let it melt in your mouth.